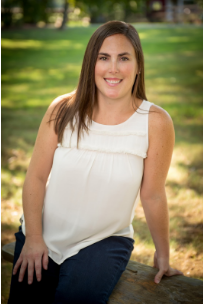 Today we have an interview with Erin Teagan about her upcoming debut middle-grade novel, The Friendship Experiment. WWAT: Tell us about your book in a few sentences. 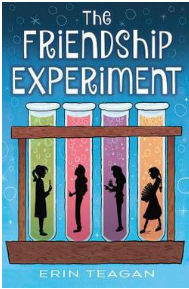 Erin: The Friendship Experiment is about Madeline Little, a future famous scientist who relates to the world by writing standard operating procedures and following them. She’s thrown for a loop right before middle school starts–her grandfather dies, her best friend moves to the private school down the road, and Madeline starts showing signs of the blood disorder that runs in her family. It’s not long before Madeline discovers that she’s going to need more than an SOP to get through life’s challenges. WWAT: Many of our readers are aspiring authors, so we’re curious to know how you became interested in writing. Erin: I’ve always been interested in writing. When I was little, I had a ‘secret-stories’ notebook and when I grew up, I was so afraid I’d ruin the joy of writing by studying the subject in college and having the pressure of getting paid to write in the real world, that I went into science first instead (a completely obvious second choice, right?). It worked out well because when I wasn’t at work, I couldn’t wait to use the other side of my brain and write. WWAT: One of the hardest parts of editing is getting that first chapter just right. What was this process like for you in The Friendship Experiment? Erin: The first chapter is so hard. I like to have a ‘skeleton’ of a first chapter when I start a new project and then I make myself move on until I finish a few drafts of the book. The first chapter is so crucial. You have to intrigue your reader, elude to the problem of the story, introduce the setting, show the reader a likeable (but flawed) main character, all within a few pages! I used to get held up on the first ten pages, writing and rewriting them, trying to get them perfect before moving forward. I’ve since realized that for me, it’s better that I’ve fully fleshed out the novel and spent a lot of time with the story and characters before I can get the first chapter just right. WWAT: Your main character is a middle school girl who’s more comfortable in a science lab than in social situations. What helped you to understand her as you were writing? Erin: My background in science helped a lot in knowing Madeline. I pictured a kid growing up in a family of scientists and how that might change how she saw the world. In the lab, it’s such a relief when there’s an already tried-and-true procedure to get you through some complicated work. And I thought, who wouldn’t want a simple procedure to follow when life gets hard? WWAT: What were your favorite books to read when you were in your early teens? Did any of these books influence your writing? Erin: When I was a kid I loved anything by Roald Dahl or Judy Blume. Both of these authors greatly influenced my writing by making me a reader when I was young. I also read all of the Babysitters Club and Sweet Valley Twins books. I loved reading friendship stories. And now, friendships are a big part of my own writing. WWAT: Do you have any quirky writing habits, or what helps you in your writing process? Erin: I’m a visual person so I can’t live without my post-its or index cards or multi-colored pens. I start my early drafts in scrivener. In my later drafts, I use a word document and stick post it notes with questions and problems all over my wall. When I get really stuck in revisions or can’t quite get something to work, I outline my manuscript onto notecards and take over the dining room table. WWAT: How many books did you write before this one? What are you currently working on? Erin: I wrote a lot of practice books before I wrote The Friendship Experiment. (Like, one or two or SEVEN.) Out of all of these manuscripts, there are two that still speak to my heart. So, I’ve pulled these two from the drawer and I’m currently revising/brainstorming/rewriting them. WWAT: Is there anything else you’d like to tell us about The Friendship Experiment? Erin: Although the book is a lot about friendships and family, it’s also about living with chronic illness. My main character and her sister have Von Willebrand Disease, a common blood disorder that many people have never heard of. With so many kids living with a chronic illness, it was important to me that these kids see themselves in Maddie or her older sister, Brooke. And, hopefully it will help them feel less alone. 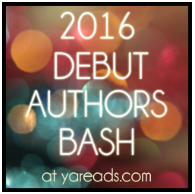 Thank you for sharing with us, Erin Teagan, and best of sales to you with your debut novel! Great interview! I can’t wait to read this book! The Friendship Experiment has a really interesting premise. WWAT Crew is definitely looking forward to it!